Undergraduate students conducting research this summer in laboratories across campus will showcase their research projects during the Summer Research Symposium on Wednesday, July 25, from 9:30 to 11:45 a.m. in the Jordan Hall of Science Galleria. Two poster sessions will be held from 9:30-10:30 a.m. and 10:45-11:45 a.m. This event is free, and all faculty, students and staff are welcome to attend! 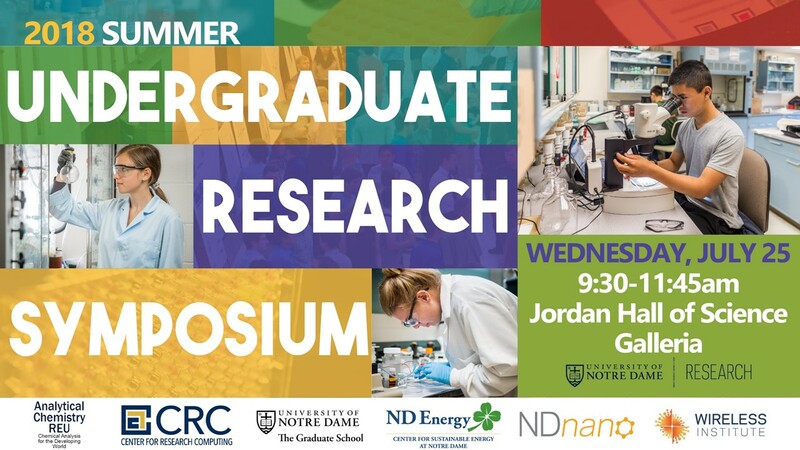 Student researchers participating in this year’s symposium are from Analytical Chemistry REU, Center for Research Computing REU, Graduate School Summer Programs, ND Energy Slatt Fellowships, NDnano NURF, and Wireless Institute REU. 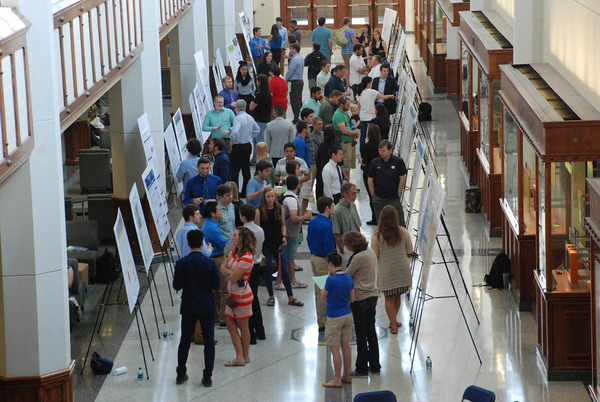 Students interested in presenting a poster during the symposium must submit an abstract (approved by their faculty advisor) no later than Monday, July 16, at 8:00 a.m. Check back in July for the presentation schedule and abstract book.